Digital Leisure attempted to jump on the Sudoku DSiWare bandwagon a while back, failing miserably in the process. 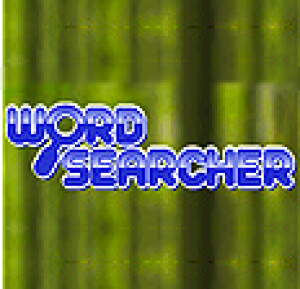 Now they've taken another crack at the service with something different: Word Searcher, a game featuring 100 different word-search puzzles to sink your vocabulary into. 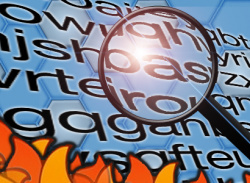 Granted, Word Searcher as WiiWare wasn't that great, but for those of us who passed up the..
You'll need a sharp eye and a quick mind to complete these 100 themed word search puzzles. Word Searcher contains fun words from multiple categories including anatomy, world cities and U.S. presidents. Packed with a huge assortment of subjects to choose from, there's sure to be a puzzle anyone will enjoy. Help improve your vocabulary, memory and problem-solving skills with these challenging puzzles. 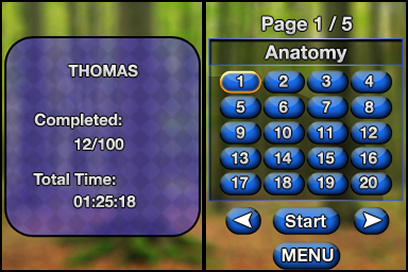 Keep track of, and try to beat, your own play-through times again and again as words are scrambled every time you play. Get your thinking cap on and conquer all 100 today. 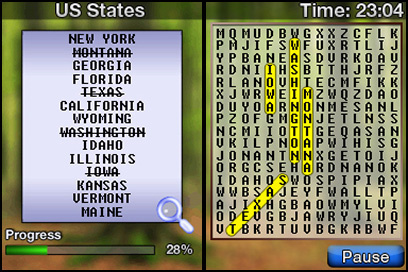 There's a sequel Word Searcher 2 coming out in North America on January 3, 2011. Hope Digital Leisure made customized word searches and even one on number searches as well.